Group Care Practice with Children and Young People Revisited focuses on the core issues that shape the quality of care that’s provided in institutional and residential care settings, as well as day care services that rely on the group process. Leading authorities on residential group care practice from around the world examine practice concepts centered on three broad themes: working directly with children; working indirectly to support children and their families; and organizational influences on practice. This unique book offers valuable insights for dealing with the daily challenges of working with young people in responsive group care. 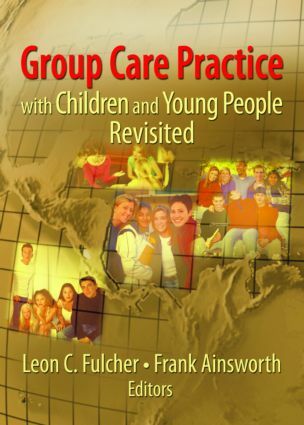 Group Care Practice with Children and Young People Revisited builds on contemporary themes that were explored by the editors more than 20 years ago in Group Care for Children: Concept and Issues, and Group Care Practice with Children, both out of print. Contributors to this updated collection put a fresh spin on the original material, as well as cross-cultural analysis from both sides of the Atlantic, Australia and New Zealand, Malaysia, China, and the United Arab Emirates. They revisit the key issues identified in the earlier books and provide personal and professional reflections on what has happened to their practice themes since the early 1980s. Special attention is paid to how social policy imperatives—normalization, de-institutionalization, mainstreaming, least restrictive environment, minimal intervention, and diversion—have reshaped the field, group care methods and skills needed for direct and indirect care, and group care as an occupational. Group Care Practice with Children and Young People Revisited is a must-read for youth case workers, child and youth care educators, and anyone working in child welfare, including youth justice managers, administrators, and policymakers.